Last night, while learning the ropes of the new Elad FDM-S2, I noticed some great music on 9,420 kHz, the former Voice of Greece frequency. It was then that I realized yesterday (June 11) marked the one year anniversary of the day that the Greek government shut down ERT and the Voice of Greece. If interested, click here for some audio I recorded that very night. Amazingly, one year later, 9,420 kHz is still active out of the Avlis transmitter site and last night, the Radio Station of Macedonia (a.k.a., ERT 3) was playing an excellent mix of Greek music and jazz. You’ll note great audio fidelity and a low noise floor despite the numerous static crashes present from area thunderstorms. (Note that I did not have DSP noise reduction nor the noise blanker engaged.) I started the recording in standard AM mode, then changed it to AM synchronous detection between songs in the first half of the recording. This entry was posted in Broadcasters, News, Radio History, Radios, Recordings, Shortwave Radio, Software Defined Radio, What's On Shortwave and tagged ELAD, Elad FDM-S2, FDM-s2, Radio Station of Macedonia, Radio Station of Macedonia ERT 3, Voice of Greece, Voice of Greece Cuts on June 12, 2014 by Thomas. 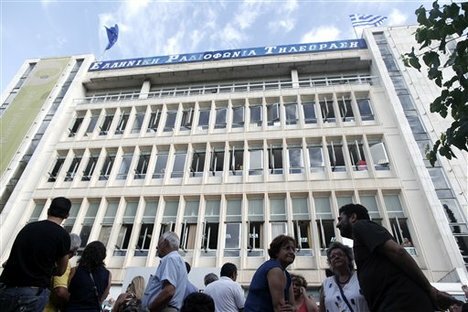 It looks like the staff protest, which has occupied ERT headquarters since June 11, has finally come to an end. I’m not sure how/if this will have an effect on the Voice of Greece, but I will be listening for them on 9,420 kHz tonight. Greek riot police have cleared the headquarters of the former state broadcaster ERT, using tear gas to gain entry and arresting several people. Police formed a cordon round the building in Athens, before going from room to room to evacuate protesters. Former employees have occupied the building since the government closed ERT and sacked its 2,600 staff in June. Greece’s conservative-led coalition said the state broadcaster cost too much to run in an economic crisis. 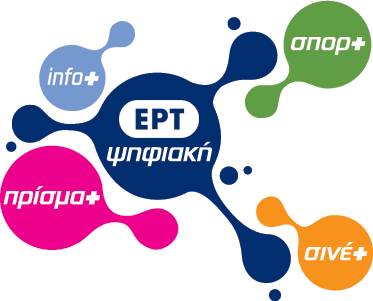 This entry was posted in Broadcasters, News and tagged ERT Cuts, ERT Greece, VOG, Voice of Greece, Voice of Greece Cuts on November 7, 2013 by Thomas.